Workers’ compensation laws are intended to protect people, providing them with financial support in the event they hurt while working or during the course of performing their job duties. 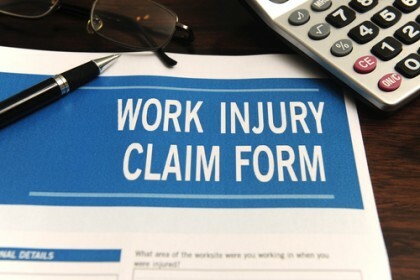 Despite this, however, workers’ compensation claims can be confusing and frustrating to pursue, as there are a number strict rules associated with filing claims, and making even a few minor mistakes can have significant impacts on people’s claims – and whether they end up getting the benefits they need and deserve. Given these facts, as well as the fact that many injured workers depend on workers’ compensation benefits to pay for medical care as they recover, in this article, we’ll point out some of the most common mistakes people make with workers’ compensation claims. To avoid making such mistakes and position your claim for approval, be sure to contact the Portland workers’ compensation attorneys at the Savage Law Firm. 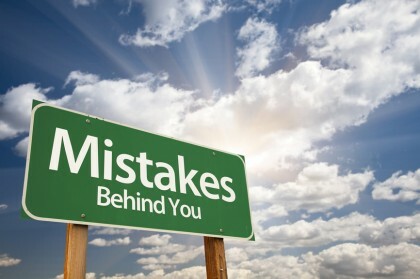 Mistake 1 – Not reporting a work injury to an employer and/or physician ASAP. Some of these common mistakes can impact people’s workers’ compensation claims and benefits. Call us to avoid these mistakes and get the benefits you deserve. If you end up reporting the work injury to your employer, your employer should give you a Form 801 (Worker’s and Employer’s Report of Occupational Injury or Disease/Illness). If you end up reporting the work injury to a physician, the doctor and you should complete a Form 827 (Worker’s and Physician’s Report for Worker’s Compensation Claims). Failing to report your workplace injury and complete the appropriate form to get your workers’ compensation claim started can end up costing you benefits or, worse yet, causing your claim to be denied if you try to pursue it later. 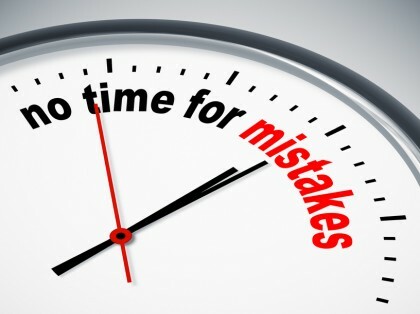 Mistake 2 – Signing agreements with employers to not file workers’ compensation claims. Following workplace injuries, some employers may try to take advantage of disoriented and injured workers by pushing them into signing agreements to forego filing workers’ compensation claims. While employers may try to persuade injured workers to do this by claiming that they, the company, will pay for all of an injured person’s medical bills, regardless of what an employer may be offering when trying to get injured people to sign these agreements, it’s critical that injured workers do NOT sign anything to this end. Employers cannot require them to sign such agreements (in other words, injured workers have the absolute right to refuse to sign such agreements without repercussion from an employer). The push to get employees to sign these agreements is often an employer’s attempt to try to limit their own insurance payouts (and possibly insurance premium increases). Employers cannot force employees to be independent contractors, corporate officers or partners in an effort to avoid having to cover them with workers’ compensation insurance. Mistake 3 – Not choosing a doctor they trust to treat their workplace injuries. Not selecting the right doctor and returning to work too early are common mistakes people make when pursuing workers’ compensation claims. Call us to avoid such mistakes. From state to state, the rules regarding how workers’ compensation claims are filed and what injured workers need to do after any injury can vary dramatically. In fact, while some states’ workers’ compensation laws require that injured workers see medical providers that have been specifically approved and chosen by an employer, in Oregon, there is no such requirement. Select a doctor from a managed care organization (MCO). Clearing an injured worker to return to work. While each of the above-mentioned factors is critical to the value of an injured people’s workers’ compensation claims, they are also crucial to injured people’s recovery and future. Mistake 4 – Returning to work too early. Being hurt at work and then following a course of treatment to recovery can be quite a journey for injured workers, particularly if they suffer more severe workplace injuries (like, for instance, head or brain injuries, severe bone fractures, etc.). As the weeks or even months pass while workers focus on getting better, they can get restless and possibly even think about going back to work as soon as possible so that they can regain a sense of normalcy. Can sabotage their workers’ compensation claims and benefits, likely causing them to be terminated. Therefore, make sure that you have fully recovered before returning to work after sustaining an on-the-job injury. If a doctor has cleared you to return to work and you don’t believe you are ready, consider getting a second opinion regarding your condition, recovery and ability to return to work. Mistake 5 – Not appealing insurers’ denials of valid workers’ compensation claims. You can avoid making any mistakes with workers’ compensation claims by trusting the Savage Law Firm to oversee your claim and bring it to a successful resolution. Deny workers’ compensation claims, in which case the insurer will notify the injured worker of the denial, as well as his options and rights for appealing this denial. Insurers often deny legitimate workers’ compensation claims for minor, fixable reasons. Challenging insurers by filing appeals will be critical in helping injured workers’ obtaining the benefits they may need and deserve. Appeals of denied workers’ compensation claims will have the best chances of success when people trust an experienced attorney to handle their case and stand up to insurers on their behalf. Mistake 6 – Not calling the Savage Law Firm to oversee workers’ compensation claims. Of all of the mistakes that can be made with workers’ compensation claims, one of the single biggest mistakes injured workers can make is not calling the trusted and experienced Portland workers’ compensation lawyers at the Savage Law Firm for help. The fact is that, after workplace injuries, recovering to the extent possible should be injured people’s main focus and that dealing with a complicated workers’ compensation system can only compound injured people’s stresses. By trusting the Savage Law Firm to represent them, injured workers can count on the fact that their workers’ compensation claims will be handled by experienced professionals who are dedicated to helping injured people obtain the full amount of benefits to which they are entitled. Have you been injured while working? If so, it’s time to contact the experienced Portland workers’ compensation lawyers at the Savage Law Firm.